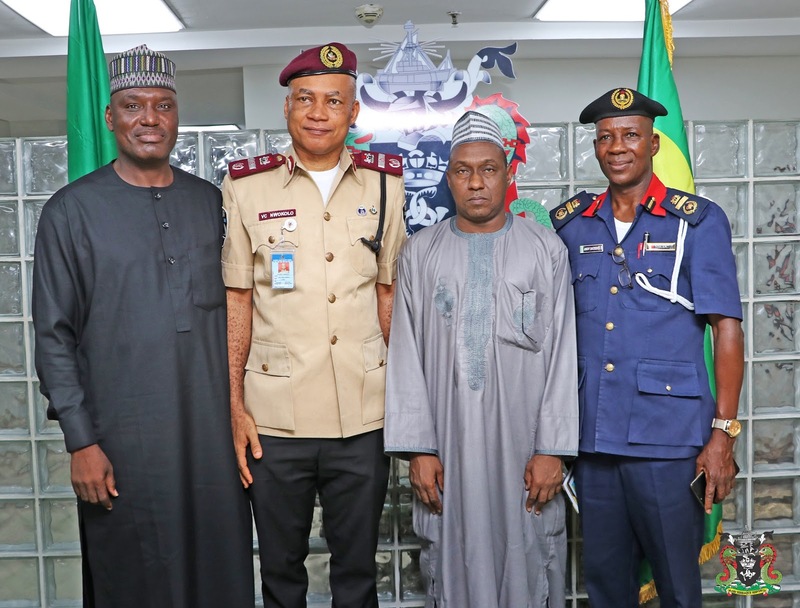 The Managing Director of the Nigerian Ports Authority (NPA) hosted the Inter-Ministerial Sub Committee for the Implementation of a Work Plan of Action on Haulage Operations in Nigeria in the Organisation’s Corporate Headquarters in Lagos on Thursday. 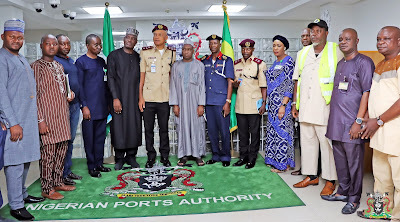 The Representative of the Managing Director, Nigerian Ports Authority (NPA), the Executive Director, Engineering and Technical Services, Prof. Idris Abubakar (right) and the Chairman of the Sub Committee, Asst. 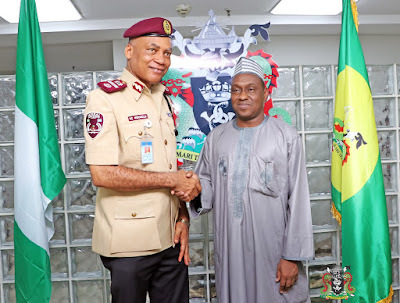 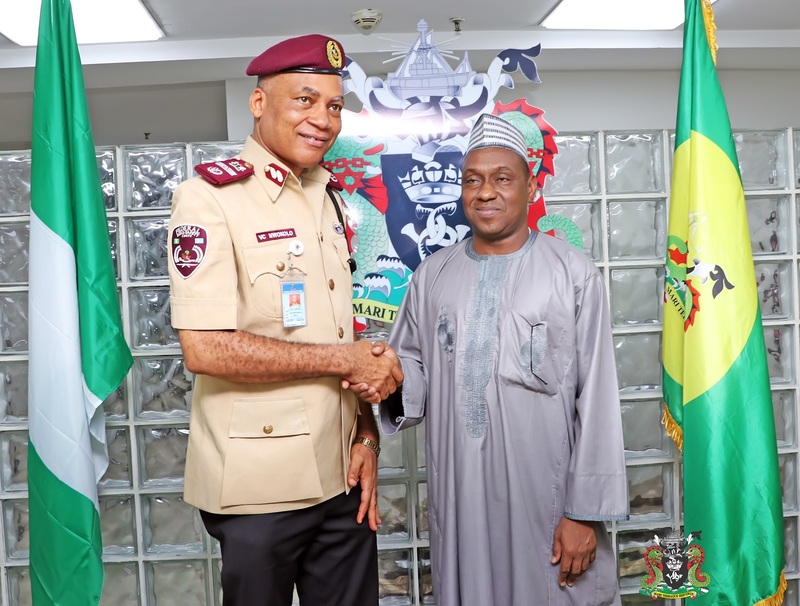 Corp Marshal, Victor Nwokolo after a courtesy call on the Managing Director at the NPA Corporate Headquarters in Lagos .